Sometimes the best travel deal involves transfer between two airports. Sometimes a trip takes you to a small plane airport, a private airfield, or another port of departure. Regardless, we’re here to get you where you need to be. Our agents provide expert advice to coordinate travel times and routes, giving you a useful planning window with which to coordinate the MIA airport transfer increments of your journey. We can provide schedule guidelines to help you defeat rush hour traffic and completely avoid snarls or slowdowns. Our drivers are consummate professionals, well versed in the best avenues of approach for Miami International Airport and the surrounding vicinity. You have only to tell us where to be — the rest will be handled with delicacy and finesse. You’ll arrive stylishly, ready for the next bout of excitement. Imagine arriving at Miami International Airport at 4:00 pm with a 6:30 pm departure time from Fort Lauderdale. Instead of deciphering public transit, instead of an unpolished taxi or a marked-up app service, imagine being greeted by a suited, smiling driver who will ferry you to your next destination, all the while knowing exactly when and where you need to be. It’s how we do business — we ensure that your itinerary is briefed to the driver, who will know all your deadlines and provide the smoothest of service from one destination to the next. 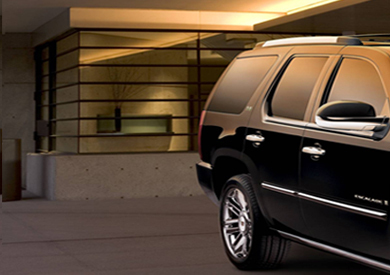 You’ll travel in a luxury auto, blissful all the while in the climate-controlled environment. We’re confident that you’ll never want to travel any other way after experiencing our MIA airport transfer service. Miami is a true car city, and traveling from airport to airport require the skill and wherewithal of a true Magic City insider. When you call our agents to plan your booking, we’ll share our expertise and give you concrete advice for how to incorporate travel time. Impersonal websites and distracted travel agents may say one thing, but we can provide crystal-clear advice for when and how to travel between airports, ensuring the ease and simplicity of your excursion. You can even call before you’ve booked your airline ticket. We’re open year-round — 24 hours a day, 365 days a year — and know the city better than any other organization you might encounter elsewhere. We’re excited to showcase our profound understanding of what it means to get around south Florida. All you have to do is call us at 305-902-4417 . The nature of air travel involves delays and unexpected changes, even in the modern day. As such, we make it our business to keep track of the flights, gate information, security alerts, and any other relevant news concerning your trip. You’ll receive updates from your driver upon arrival, during your airport transfer trip, and upon arrival at your destination. You’ll experience the indulgence of luxurious travel, but even in the deepest relaxation you will never find yourself out-of-touch with your own travel information. Your driver, a dedicated chauffeur, will also be a personal assistant for the duration of your voyage. We make it our mission to keep you informed, to keep up to speed, so that you can sit back and await the next adventure.